Netflix has apparently never heard the myth of Icarus, because it’s currently planning to use its wings of wax to fly directly into the sun, with apparently no disregard for the inherent dangers. That’s a metaphor, of course, but what Netflix is really doing is no less dangerous: As announced today in a press release, the streaming service has boldly declared that it is developing a live-action series based on Avatar: The Last Airbender, the Nickelodeon cartoon that was previously adapted into a truly terrible M. Night Shyamalan movie. 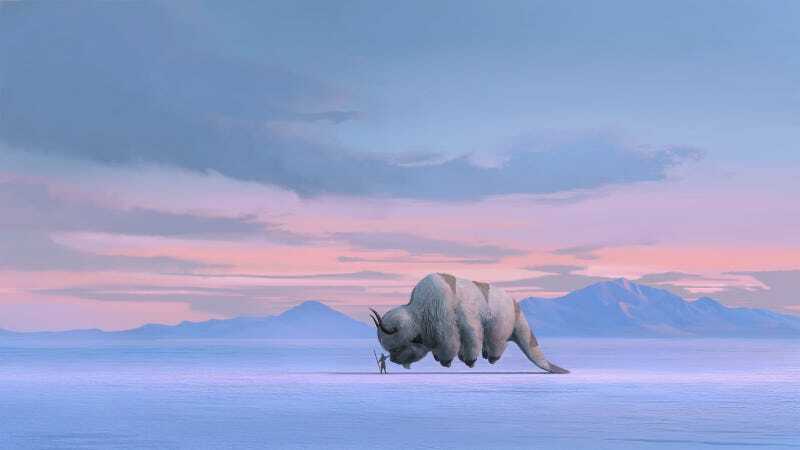 This new attempt is actually coming from Michael DiMartino and Bryan Konietzko, the creators of the original series, but that doesn’t guarantee that this won’t be a repeat of the Shyamalan film’s failure. Either way, in a statement that addresses some of the Shyamalan movie’s issues, DiMartino and Konietzko said, “We can’t wait to realize Aang’s world as cinematically as we always imagined it to be, and with a culturally appropriate, non-whitewashed cast.” The show will go into production next year. For those who missed the old show or the movie, Avatar takes place in a fantastical world where certain people are born with the ability to control elements like fire, earth, air, and water, resulting in big conflicts between the fire people and everybody else. The Avatar is a legendary being from the land of the air people—at least in this story—who has the ability to control all four elements. His name is Aang, he has an arrow on his head, and he’s friends with a flying bison creature. Also, the follow-up series The Legend Of Korra was better in every way, and we’re willing to fight people on that if anyone wants to throw down.